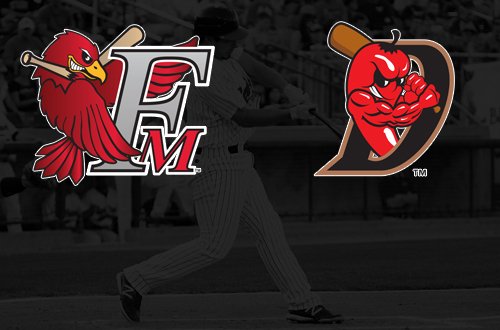 The Fargo-Moorhead RedHawks (1-5) jumped out to an early lead but fell to the El Paso Diablos (2-4) by a score of 8-3 on Tuesday afternoon at Cohen Stadium in El Paso. Nic Jackson got the RedHawks rolling with a two-run home run in the top of the first inning. It was Jackson’s first home runs of the season. After El Paso cut the deficit to 2-1 in the bottom of the first, the score stayed that way until an RBI single by Nick Akins made it 3-1 RedHawks in the top of the fourth inning. El Paso would score the final seven runs of the game, getting a pair of runs in each of the fifth and six innings and three runs in the eighth inning. Jackson ended the game 2-for-4 with two RBIs and a runs scored. Akins was 2-for-4 with a double and an RBI. El Paso starter David Casillas earned the victory, allowing three runs and striking out seven in 6.1 innings pitched. Former RedHawk Adam Tollefson earned the save. Joe Harris took the loss for Fargo-Moorhead.